Wilson caught this limited edition Red OLPC at the company's headquarters near MIT's campus in Cambridge today. 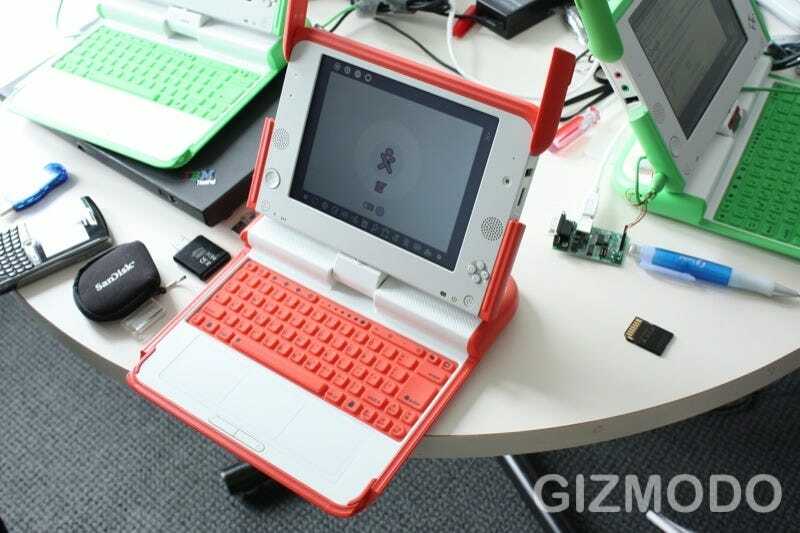 The limited edition run of 100 is made for developers working on the dual boot Sugar Linux and Windows XP system, and has specs identical to the regular OLPC, except 2GB of RAM 2GB flash memory—the minimum required for Windows. As you can see, the color scheme is the inverse of the all-red prototype you may have seen before. There are no plans for a public release, so the closest you'll get to seeing this may be in the gallery below.